"Jet Skis Personal Checks" product is already in your cart. Take a ride on the wild side with these Jet Skis Personal Checks that showcase the adventure of living dangerously on the water. With four dramatic scenes depicted that reveal riders traversing the waves under sunny blue skies and dark gray white water sprays of water these checks will be a trip to remember. 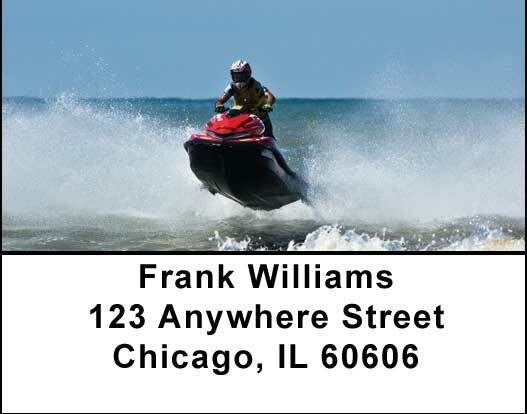 These Jet Skis Personal Checks capture the excitement of each moment riding the waves and will make a memorable way to carry on the sometimes dull business of writing checks. After all everyone loves a little danger in their life ï¿½ as long as someone else is doing it!